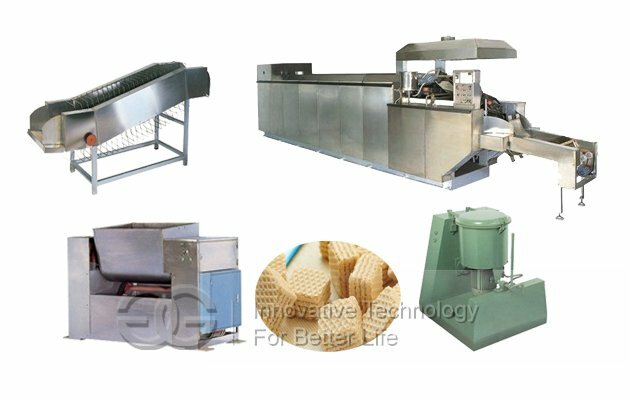 The wafer line is mainly consisted of mixing system,automatic feeding system,tunnel-type oven,sheet feeding and cooling device,coating machine,cutter and organic heating medium boiler,etc. 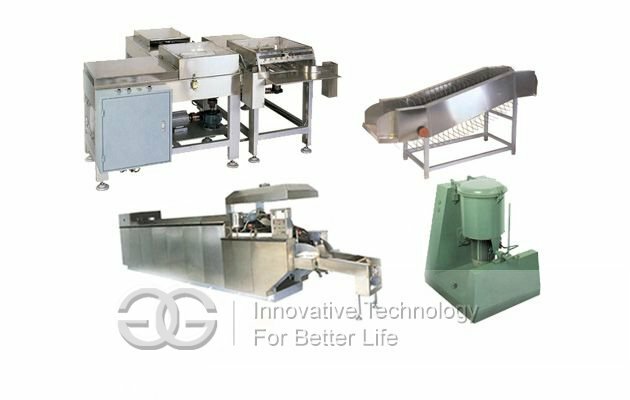 The processing line mainly consists of mixing system,automatic feeding system, tunnel-type oven, sheet feeding and cooling device, coating machine, cutter and organic heating medium boiler, etc. The baking oven has 39 baking plates and is heated by gas(LNG or LDG). Adopting hearing-medium conduction technology with heating oil as medium, the plant is a new generation product developed exclusively in China based on the advanced structure of existing plants from domestic market and abroad. 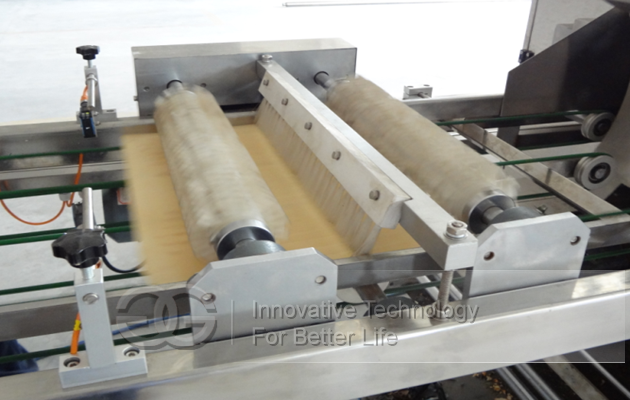 If offers an ideal solution for lower power consumption and overall production cost, and keeping the same surface color for all biscuits. 1.There are diversified heating source for your operation (Electric, gas, fuel oil). 2.High rate of certified products with finished product rate of not less than 98%. 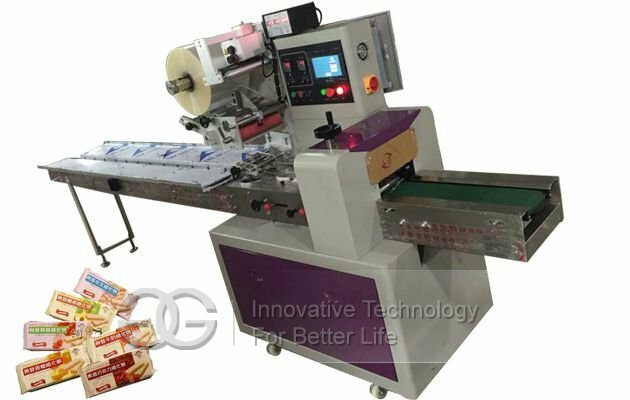 Because of uniform heating and unanimous heat colors, the demoulding rate of biscuit is high with improving rate of certified products accordingly. 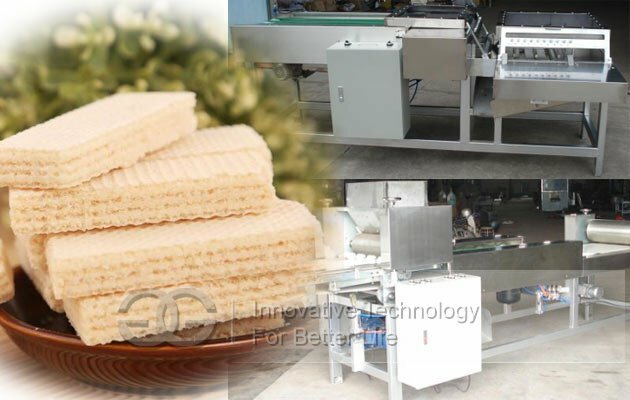 3.By changing the molds and recipes, this plant is able to produce various types of high quality biscuit, such as cream biscuit, sandwiching biscuit, soda cracker biscuit, animal biscuit, vegetable biscuit etc. 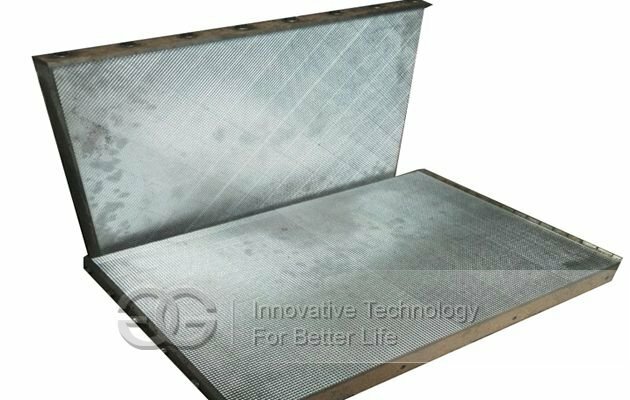 4.The plant is a new generation product developed exclusively in China based on the advanced structure of existing plants from domestic market and abroad. 5.Provide the best service and perfect after sale service.